SAN FRANCISCO -- Elon Musk is cutting 9 percent of the work force at Tesla, a turnabout that underscores the mounting pressure he is under to show the electric-car maker can one day turn a profit. The move -- the biggest widespread layoff in Tesla’s 15-year history -- will almost entirely involve salaried employees and comes as the carmaker races to hit production targets for the critical Model 3 sedan. Musk has said Tesla is on the cusp of making money by turning a corner with the Model 3. Hyped by the CEO as his most affordable electric car when production began almost a year ago, the Model 3 has repeatedly fallen short of manufacturing targets, contributing to billions of dollars in ongoing losses and cash burned. “Given that Tesla has never made an annual profit in the almost 15 years since we have existed, profit is obviously not what motivates us,” Musk wrote in an internal email Tuesday. “What drives us is our mission to accelerate the world’s transition to sustainable, clean energy, but we will never achieve that mission unless we eventually demonstrate that we can be sustainably profitable. That is a valid and fair criticism of Tesla’s history to date." Tesla shares pared an earlier gain of as much as 6.9 percent and closed up 3.2 percent at $342.77. The stock is up about 10 percent this year. No production associates are included in the job cuts, Musk wrote. 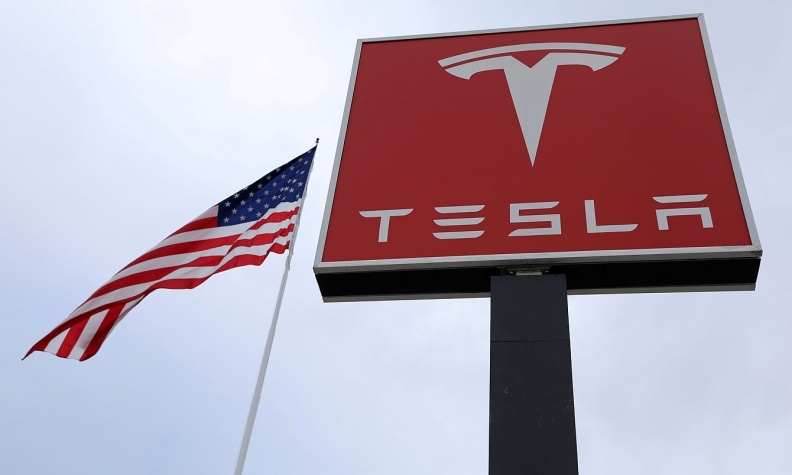 He said Tesla’s rapid growth in recent years contributed to the duplication of roles and creation of jobs that the company could no longer justify. Tesla ended last year with 37,543 employees, more than 12 times its headcount five years earlier. In addition to the restructuring, Tesla won’t renew a residential sales agreement with Home Depot Inc. and focus instead on selling solar power in its own stores and online, Musk wrote. His company began to roll out Tesla-branded selling spaces at 800 Home Depot locations earlier this year, building on a previous relationship the retailer had with SolarCity Corp., which Tesla acquired in 2016. Tesla will provide “significant” salary and vesting stock to employees being dismissed, Musk said.